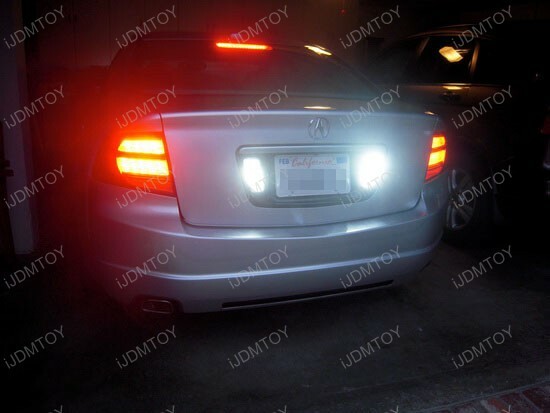 Safety is a key factor to consider when operating a vehicle and we at iJDMTOY believes that a brighter and more noticeable light will provide more safety in all scenarios. 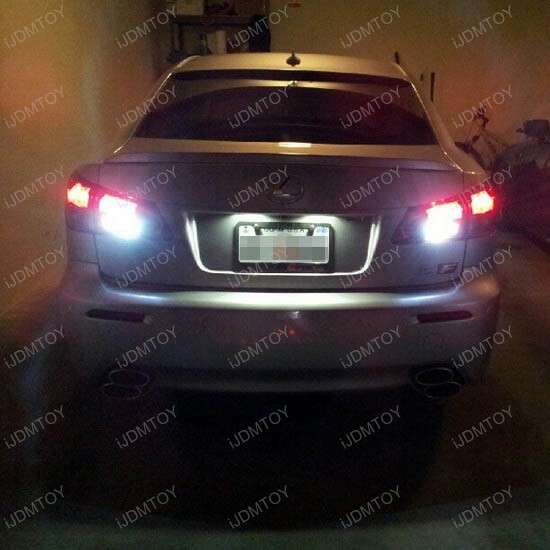 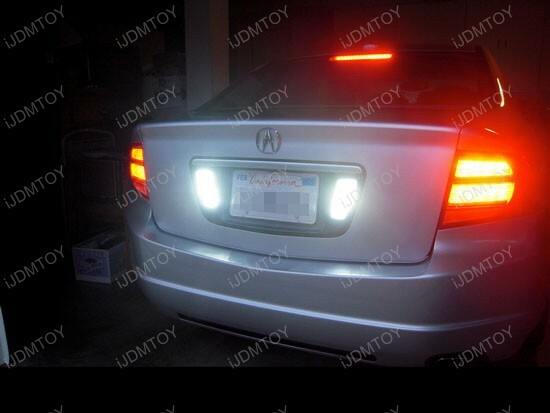 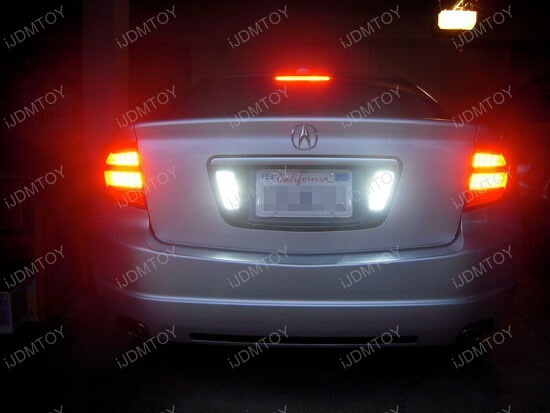 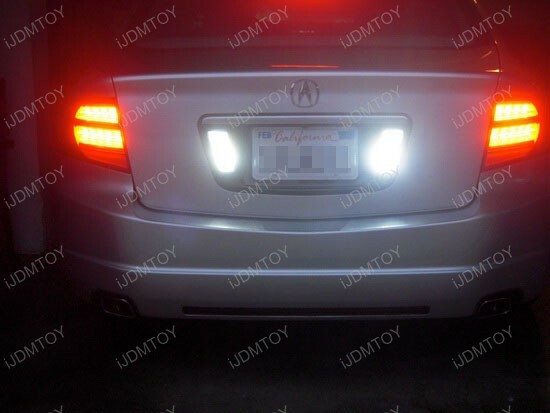 In this particular case, we have a customer that installed our 25w High power CREE XP-E R4 T15 LED Bulbs into his Acura TL’s reverse lights to provide a much brighter light when is backing up. 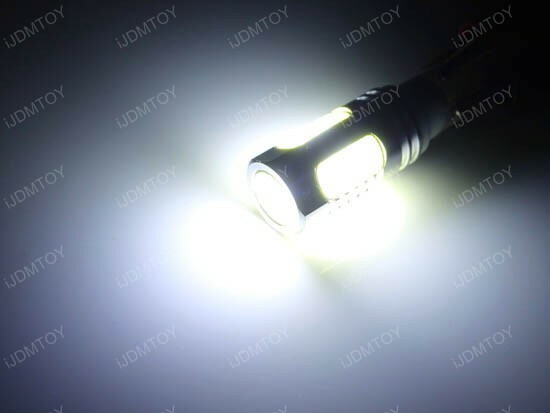 Each T15 LED bulb comes equipped with five (5) pieces of XP-E R4 LED chips made by CREE on all sides of the bulb (one on the top with a optical projection lens and four additional pieces on the sides) providing a 360 degree coverage of light that will light up the entire housing evenly. 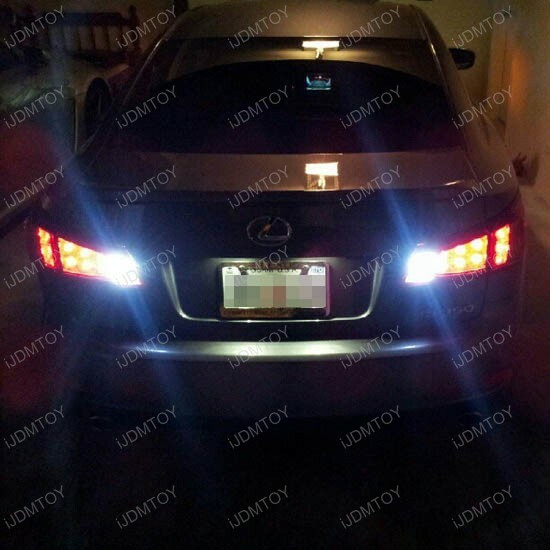 The LED backup reverse light bulb produces a 6000K Xenon White glow and creates 500 lumens of output for you to use at night to see better. 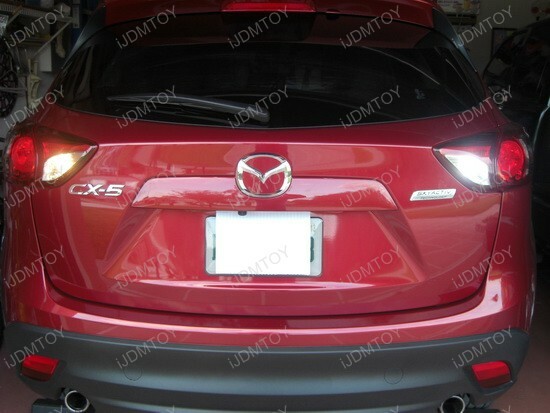 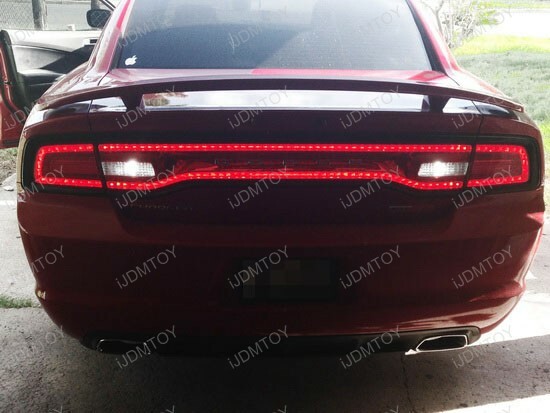 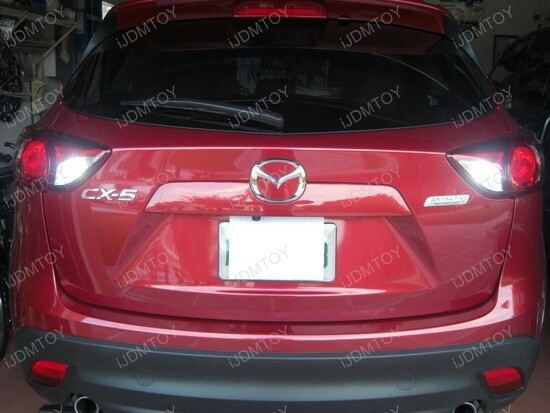 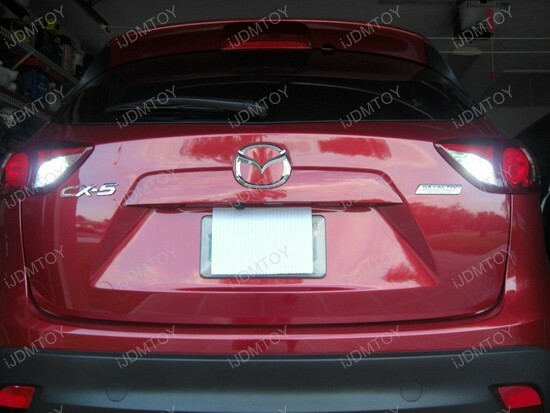 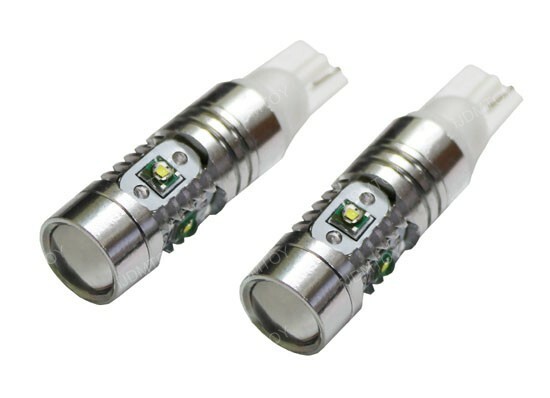 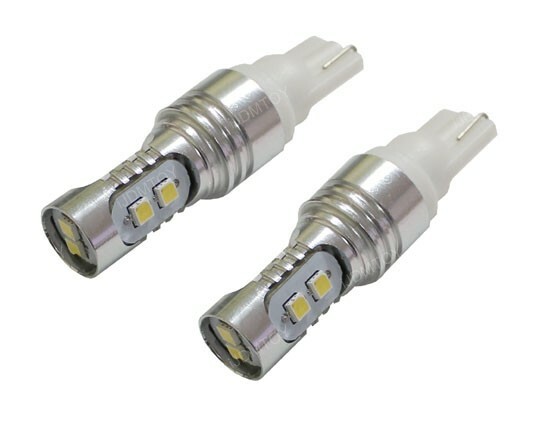 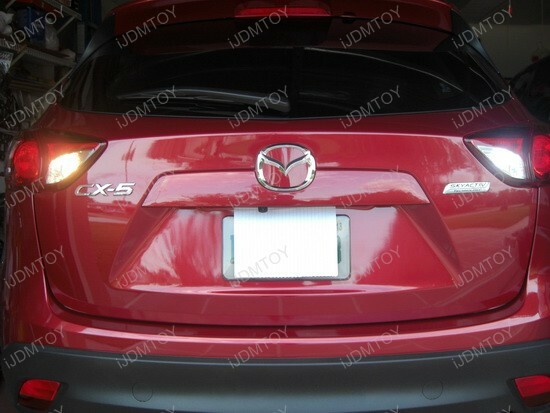 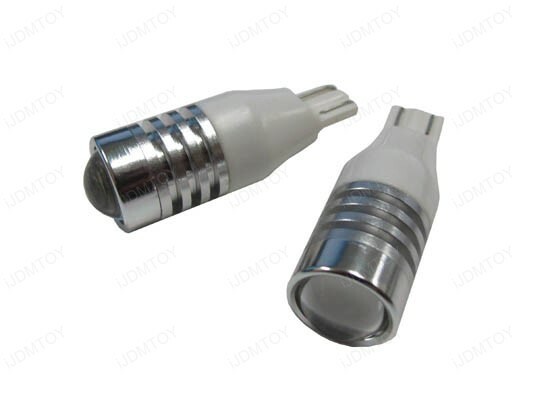 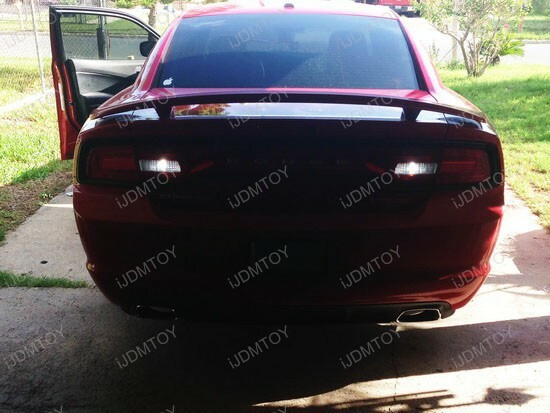 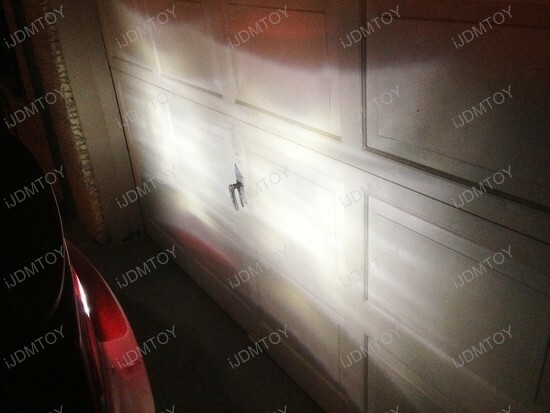 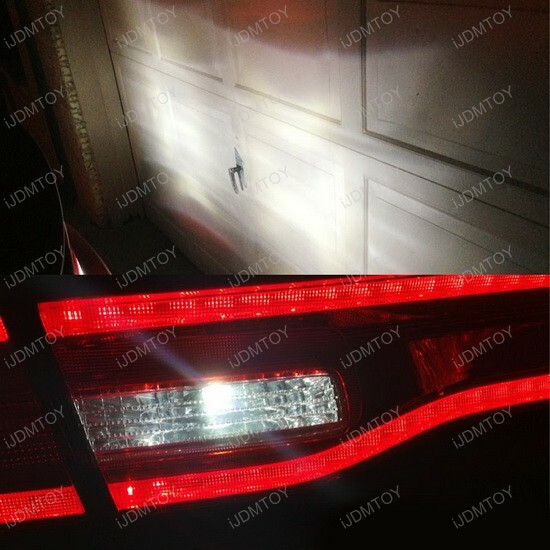 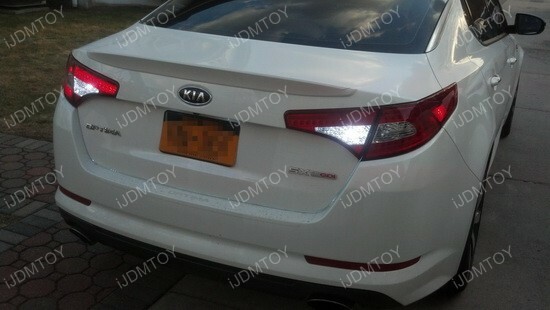 Due to the design of this product, we only recommend these to be used for reverse/back up lights only; using these lights for another application such as a running light may cause them to prematurely fail due to the excessive heat created and since back up lights are only on for a brief moment, there are no problems.